What Is An Employment Lawyer? Is Getting Laid Off Like Being Fired? As of 2018, Graeme Fraser obtained the Accredited Family Mediator (AccFM) designation from the Ontario Association for Family Mediation (OAFM). He is also a member of the OAFM Ottawa Chapter. Graeme Fraser’s approach has always been to promote alternative dispute resolution options to his clients, and there is no other area of law where this emphasis is more preferred. Spouses are empowered. Conflict and tension dissipate. Communication and cooperation improve. Cost effectiveness is achieved. Graeme brings with him a wealth of knowledge, expertise and experience, from both in and out of the courtroom, attained over 30 years of practising law, to his growing family mediation practice. If it is your desire, as spouses, to achieve an exceptional result, please contact our office for further information and to discuss taking your first step towards the realization of this goal, with the seasoned guidance you will obtain from Graeme Fraser as your family mediator. When our home life becomes conflicted the consequences can affect every aspect of our lives. It’s at this time we particularly need support and care we can trust and rely on. Family mediation services can be utilized at either the beginning or the ending of a relationship. At the beginning, a “pre-nup” (the commonly used term for either a cohabitation agreement, or a marriage contract) is strongly advisable for couples embarking on a life together. While not essential that this agreement be finalized at the very beginning of a relationship, the earlier the better. Some couples may decide to take this step after being together for a period of time, and even after marriage, so it is never too late to consider. For more details, please read The Best Way to Come Up With a Marriage Contract or Co-habitation Agreement. While not as frequent, family mediation services can be helpful during a relationship, or marriage, as well. Costly separations and/or divorce may be avoided by becoming better informed regarding the issues that would have to be dealt with, and also through referral to appropriate counselling services. 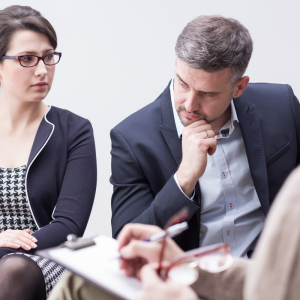 When a relationship or marriage is coming an end, or presumed to be, family mediation services can be the best means by which to avoid the antagonistic, conflictual, and expensive battles people abhor, especially if your situation ends up in Family Court. Mediation is a voluntary process that enables participants to reach their own agreement through the skilful guidance of an experienced mediator. To use family mediation services, the steps are described below. Both participants need to contact our office independently. Each will speak with Graeme Fraser in an initial telephone call. He will request introductory, family-related information from you, and your reason(s) for inquiring about his services. Anyone calling him, may not initially know whether to consider Graeme Fraser’s services as a mediator, or as a lawyer. The crucial distinction is that as a mediator, you would be jointly engaging his services to assist and guide both of you in coming to your own agreement. As such, Graeme is not providing legal advice to either of you, and remains neutral throughout the process. What you both gain through his mediation services, however, is the wealth of knowledge and expertise he has acquired through the practice of family law for over 30 years. As such, he can provide extensive legal information to a couple to assist them in reaching the best agreement, for both of them, in their personal circumstances, and ensuring that all important areas are covered in that agreement. It is not possible, or legally permissible, to give legal advice to both parties in a family law situation. Graeme would need to be hired by only one party for this purpose, and could not act as a mediator for both of you if that occurs. An initial intake meeting occurs between Graeme and each participant individually. More detailed family background information is obtained, and each party can express privately to Graeme their major concerns and interests desired. A written Retainer Agreement is provided to each party to take home and review. The first joint meeting with Graeme and both participants follows. The Retainer Agreement is reviewed and signed. All major concerns, issues and interests of both persons are canvassed, and prioritized. Financial disclosure forms are provided to both participants to take home, complete and return. Potential parenting plans are discussed. The number of subsequent meetings can vary, depending on each couple’s needs, desires, and complexity. Once all relevant feedback, parenting plan and financial disclosure is provided, Graeme will draft the agreement sought. Once the agreement is prepared, the participants meet with Graeme to review it. Copies are provided, for signature elsewhere. The agreement is not signed with the Mediator. The final stage involves each party obtaining independent legal advice (ILA) with respect to the agreement, and its final execution. While ILA is not absolutely essential to the validity of a final agreement, it is strongly recommended, and Graeme will inform both participants of the likely pitfalls to be expected if ILA is not obtained. A significant advantage to mediation is that both participants divide the costs, either equally, or on some other mutually-agreed upon basis. Not only is this usually the best process to resolving disputes, and reaching agreements, but also the cheapest. Please contact our office to discuss costs for our family mediation services, as well as the process and timing for providing payment. As a couple, the most important step in preparing for mediation is to both freely and voluntarily agree to use this process. Come to the table with an open mind, in good faith, prepared to compromise, considering your partner’s interests, as well as your own. Remember, you will control the result, together, rather than an outside party – that is, a judge, or adjudicator – deciding for you. The strength and holding power of your agreement will be directly related to the respect shown by each participant towards the other, and in abiding by your mediator’s direction throughout the process. In the end, you will be pleased with the result, and your mutual contribution to achieving it. What is the last thing usually on the minds of happy, loving partners when they decide to marry, or live together? Please leave your contact information and we will be in touch shortly.